On a recent Called to Coach, we spoke with Elaine Krek, Founder of Prism Performance, an independent consulting organization she founded more than three years ago. Elaine coaches leaders in medium and large companies in the healthcare field and beyond, and is a workshop leader and conference keynote speaker. Our host was Gallup Learning Solutions Consultant Anne Lingafelter. Anne Lingafelter: Talk about the common problems you experienced when you were working in the healthcare industry (specifically, for pharmaceuticals) and the issues you see now when you coach people in various industries. Elaine Krek: I’ve seen a lot of the sales and marketing side of the pharma business. It’s a big eye-opener when you look at a company holistically. All companies have different business areas like R&D, business technology that all have their own function, but at the end of the day, they have to work together to bring products to market. In my sales and marketing role, it was about creating the best possible product for the patient and getting that to and selling it to the customer. Our challenge was to come together with different departments to work toward a common outcome when we’re not working together on a day-to-day basis. AL: Are there some unique challenges in the pharmaceutical industry? EK: One of the biggest things is change. In the company I worked with, in my last five years of sales leadership, we had to downsize every year. In my last year, I had to exit a whole team of 15 people, including myself. It’s tough. Change is inevitable, it keeps evolving. We hear of mergers, acquisitions, takeovers -- that means fewer jobs so people will be making a change. I tell leaders of changing teams that a strengths program will save them 6 months of getting to know people and how they work. Another challenge was pricing and competition, differentiating ourselves from our customers and learning to do more with less. We have to think differently and be “dangerous” -- something that makes you stand out. There’s a great Roger Federer video that talks about how you can work on your weaknesses in tennis and it will make you an all-around good player, but it won’t make you dangerous. AL: Expand on the idea of “dangerous.” How does that apply in a corporate setting? EK: I get people to think about the strength they love -- that resonates with them -- and how are they using that strength to be better in their role. And how can they dial that up even more, and how can you use action items to help? AL: What was your thought process like when you decided to leave the corporate world and start your own business? EK: I was fortunate in that HR introduced strengths about three years before I left the company. I learned my Top 5 and our leadership team dabbled in it, but I really put myself out there from a networking perspective. As I thought about it, I realized this was something I would love to do, but wasn’t sure how I would do it. Then I remembered the strengths framework and then had a week off, I went to the Gallup offices and got accreditation (in December 2015) and by February with my pure Activator talent I was launched with a company and a website, ready to rock and roll. Prism Performance has a snowflake logo (I love the snow). At Prism, we take people and show them what they’re inherently good and talented at, and given the right climate and temperature through their company, they can grow into imperfect but talented people. And together, they can snowball and stop a nation (just like a large snowstorm closes airports). AL: It seems like you’ve branched out from healthcare into all industries. EK: Obviously I’m back to my own backyard with my business. It’s become a bit like a snowball, with more and more people wanting to be part of it. AL: What were your areas of challenge in starting your business? EK: 70% of my business is healthcare and pharmaceutical, but there are other areas, including shipping, transport, real estate. That just comes from recommendations and keynotes. But business development is one of the things I like least about my job, even though I have Woo and Communication in my Top 5. I love to facilitate workshops or coaching a team. In 2019, I’m using “brave” as my word for the year (my sales and marketing needs to ramp up). So my advice to those starting out is to just be yourself and choose one area and one product -- don’t try to do everything at once (as I initially did, with my Maximizer). Someone asked me, “What’s your niche?” So I said, “Leadership and training with corporate and medium to large companies that are healthcare and beyond that look at sales and marketing and cross-functional teams.” So then I had where I was going. So pick your niche. And back yourself; don’t be afraid. AL: How do you make it “sticky”? How do you make sure that what you’ve done will have an afterlife? EK: It’s important to start at the beginning. Figure out what is your client trying to achieve -- what does “great” look like? I have a number of touchpoints after workshops -- emails, one-on-one coaching, an open-door policy (I allow any of my clients to call me at any time with leadership questions). AL: Can you share some success stories? AL: Can you talk about the “three pillars” you use with leaders? EK: Yes, I work with leaders from first-line managers right through to CEOs, and I use this framework with all of them. Three things when it comes to being a good manager: 1) The everyday stuff (managing); 2) the leadership (the journey, the story); 3) coaching. I ask these leaders how much time they spend in each of these three areas. Most times I’ll get 70% management, 20% leadership and 10% coaching. Then I ask, “What should it look like?” That’s when people start to reflect and realize that they’re not spending enough time coaching their people. So how do we shift things from the everyday stuff to leadership (your story, your platform, how are you going to take people on that journey) and coaching (do you wait for a yearly review or is it part of your conversations regularly?). AL: Talk about the team and leadership workshops you do. EK: Not everyone fits into the sales framework their company gives them. What should happen is the company makes the framework fit the individual, not the other way around. AL: How much of your work is one-on-one coaching vs. doing workshops? EK: 60% is workshops, 20% is one-on-one, and the rest is conference keynotes and facilitating. AL: How do you determine the needs of a client and engage with them? EK: It all comes down to the initial prebrief. What do they want to achieve? Sometimes it’s just a workshop, but once that is done, they often see the benefit of one-on-one coaching (mostly with leaders, but sometimes I do this with individual contributors). I usually suggest four coaching sessions with a leader after a workshop. These usually incorporate looking at the individual strengths of team members. We have two people in each two-hour session, and figure out how to put into place a good action plan, depending on what they’re trying to achieve. If I feel someone is keeping accountable to their action items, that to me is a good measure of success. AL: Tell me about some of your strengths analogies. EK: One of them is I talk to my clients about a “rip” (rip tide), and tell them what a rip is all about. When people get caught in a rip, they panic and swim against the rip, when what they should be doing is going with the flow of the rip and then swimming back in on the other side of the rip. In terms of strengths, go with the flow of the rip. Go out the back, ask for help from a partner if you can, but then use your strengths to get back to the shore. Rips don’t drown us; exhaustion does. AL: Talk about the Women in Leadership forums you’ve been doing. EK: Hey, isn’t women in leadership a bit of a buzz at the moment? In Australia, 25% of C-Suite positions are occupied by women. But 45% of Australian women aspire to these positions, so there’s a 20-point gap. What’s the gap the result of? There are so many different things contributing to that. But I give my Women in Leadership forums a strengths lens to look through. For women, Self-Assurance is the 34th talent -- so we ain’t really good at it. Now it’s low for men too, but men have Strategic in their Top 5, and women have Empathy. The combination of low Self-Assurance and high Empathy can equate into a hesitancy among women to go for a role, whereas the man in the next office will. So I tell women to find your inner mentor, back yourself, dial up your Self-Assurance and Command and dial down your Empathy. And get out there and go for those roles. And a lot of the time, you find that the women who are in those C-Suites are the ones who have done this. 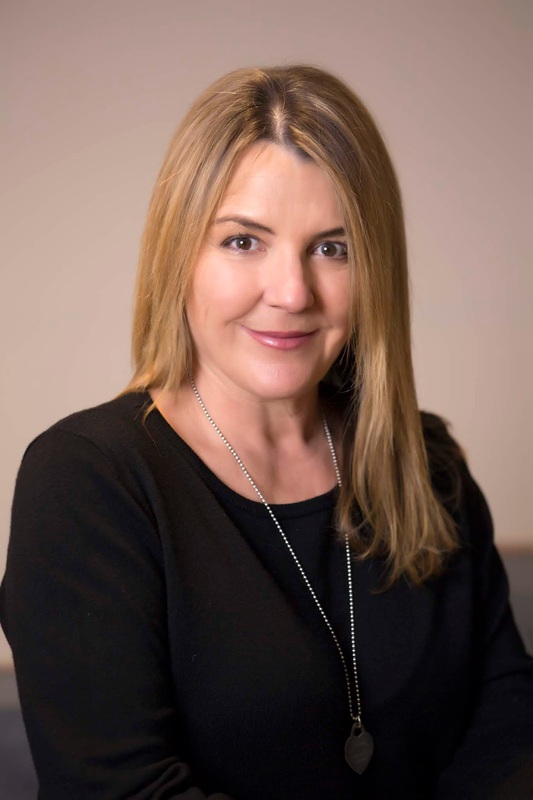 Elaine Krek is the founder of Prism Performance, an independent consulting organization in Sydney, Australia, which she founded after a successful and fun 25 years in senior sales and marketing leadership roles in the healthcare industry. She now works with individuals, leaders and teams across all industries to help make them “dangerous” in what they do every day. This is what sets you and your team ahead of the rest and makes your customers, clients and competitors take notice. A usual week for Elaine includes delivering training programs, workshops, and conference facilitations, and delivering keynotes to corporate groups. She is a Gallup Certified Strengths Coach (she calls herself a “Strengths nut”) and embraces imperfect … but talented people. Elaine Krek’s Top 5 strengths are Woo, Communication, Activator, Positivity and Maximizer.